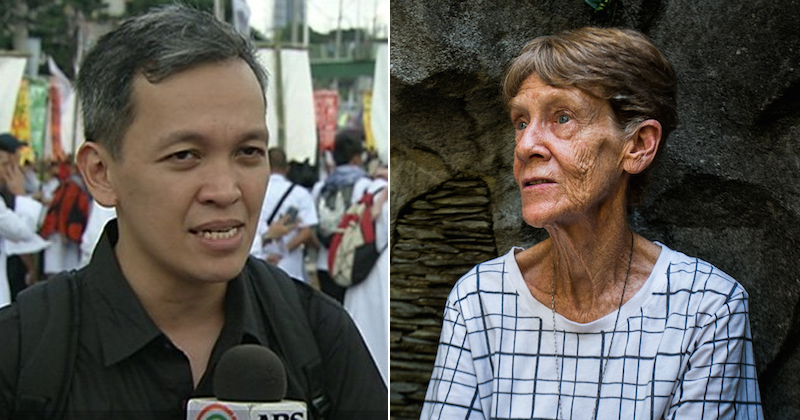 Renato Reyes: "The Duterte regime has treated her solidarity with the poor as something undesirable and criminal"
Militant organization Bagong Alyansang Makabayan (Bayan) on Saturday said Australian nun Patricia Fox's departure from the Philippines is a great injustice. "Her being forced to leave the Philippines is a great injustice. The Duterte regime has treated her solidarity with the poor as something undesirable and criminal," Bayan secretary general Renato Reyes said in a statement. The Bureau of Immigration (BI) has denied the 72-year-old nun's application for the extension of her temporary visitor's visa and ordered her to leave the country on November 3, the National Union of People's Lawyers (NUPL), which is representing her, said. Fox will leave the Philippines "under strong protest," her lawyers said. Bayan thanked Fox "for her selfless service to the Filipino poor, especially the peasants and indigenous peoples." The group said it hopes Fox will return to the Philippines someday "under more favorable conditions," adding that she "is no undesirable alien." Bayan also said Fox "is a true friend of the Filipino people. We are thankful for her nearly 3 decades of service to the poor. 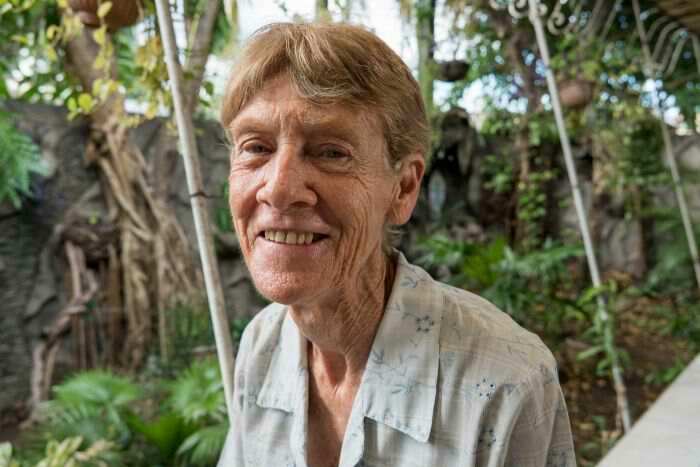 It is not the end for Sr. Pat. We shall links arms again." The group also said human rights and social justice advocates are facing similar persecution in the country. Another group, the Promotion of Church Peoples’ Response (PCPR), on Saturday said it is "wholly ironic" that Fox was "singled out for punishment and oppression by the President of the Philippines." "Despite President Duterte’s efforts to malign her character and belittle her achievements, Sr. Pat’s stand for the toiling majority has guided her in calmly and consistently explaining that she has nothing to be ashamed of, that she has done nothing wrong," the PCPR said. "We are witnesses of her accompaniment of the poor and oppressed, recipients of the fruits of her love and service, and disciples of her unflinching faithfulness," the group said, adding that they know Fox "will return to our archipelago" as "she has become one with the Filipino people." Fox, who held a missionary visa before it was canceled, was accused of joining "political activities" prohibited among foreigners. 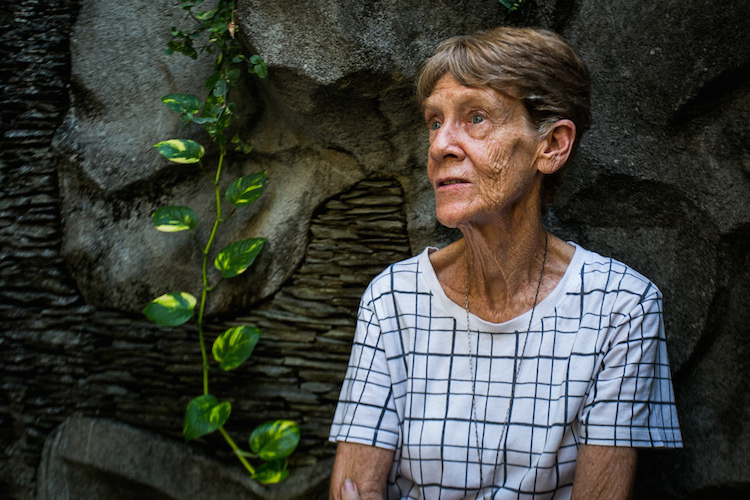 While she admits participating in fact-finding missions and advocating for social justice causes, she maintains her activities are within the scope of her missionary work and are protected by guarantees to free speech and assembly. She was first arrested then released pending further probe by Philippine authorities in April, shortly after which no less than Duterte admitted ordering her investigated for "disorderly conduct."